A sports radio broadcaster died when he stepped out of a stalled van and was swept away by a raging flashflood in Iowa, officials said. The torrential rainstorm struck Saturday night in the Midwest, bringing more than 7 inches of rain in just a few hours to Des Moines, and triggering dozens of water rescues and evacuations, authorities said. One of the rescue calls was for people stranded in a van on a flooded street in Des Moines about 8:50 p.m. local time, according to police. jeffjaeger2 shared video on Twitter showing the flood situation at his house in Johnston, Iowa, June 30, 2018. 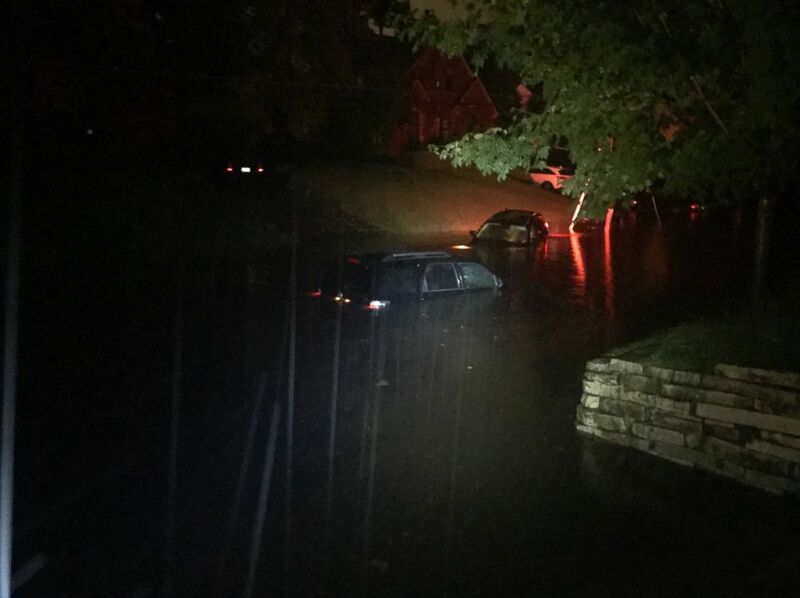 "As officers responded, it was reported that the occupants had left the van and that one person, a 66-year-old male Des Moines resident, had been swept away in the flash-flood waters," Sgt. Paul Parizek, of the Des Moines Police Department, said in a statement. The man's body was recovered at 12:39 a.m. Sunday, several blocks from where the van stalled, Parizek said. He was identified Sunday morning as Larry Bruce Cotlar, a local sports radio broadcaster who hosted the weekly radio show "Cotlar and Company" on 1350 ESPN in Iowa. He was also the play-by-play announcer for Drake University men's basketball games. 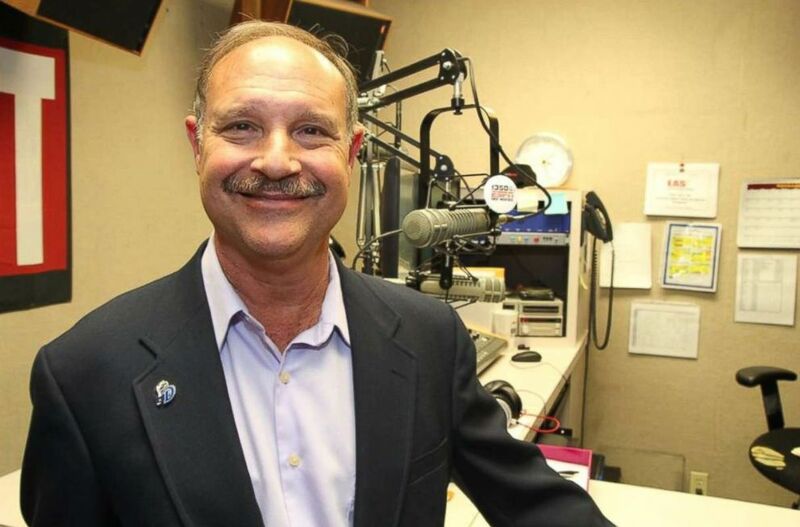 "All of us at 1350 ESPN and the Des Moines Radio group are devastated by the loss of our voice, our colleague, and our friends, Larry Cotlar," the radio station said in a statement Sunday. "Larry was the voice of sports in Central Iowa. Larry Cotlar is pictured in this undated photo provided by 1350 ESPN. "Today, our thoughts are with his wife, Deb, and their son, Zach. There is absolutely no replacing Larry. He will be thought of fondly and missed greatly by his family, friends, and his extended families in the sports and broadcasting communities." Storms were still moving through parts of the Midwest Sunday, with additional flash flooding possible. The powerful rainstorm caused the Des Moines River to overflow in some parts and flood nearby roads. Police in Pleasant Hill, Iowa, posted a short video on Facebook showing Mile Creek, which cuts through the city, running dangerously fast and high. Officials advised local residents to stay off roads in the area until the water subsided. 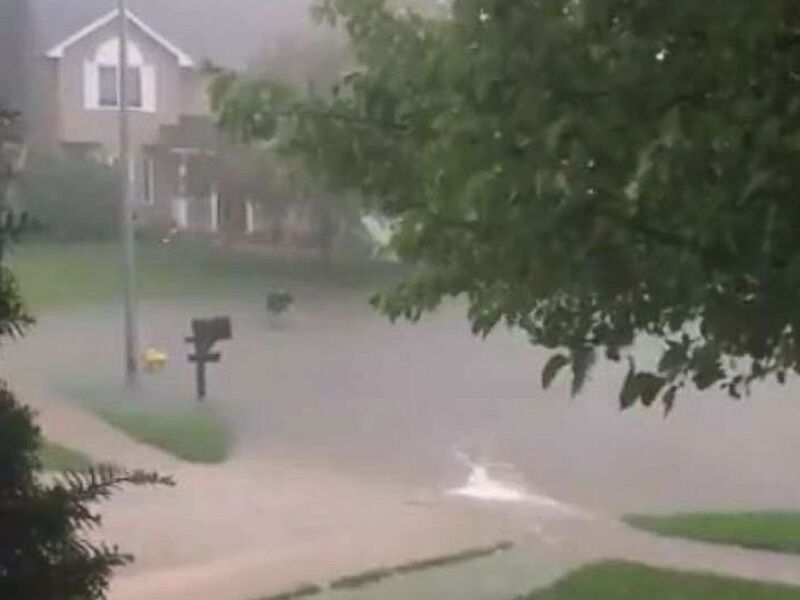 Slow-moving thunderstorms in the Midwest brought torrential rain to central Iowa on Saturday night, including 7.3 inches of rain in just a few hours, causing widespread flash flooding in Des Moines. More storms are expected Sunday afternoon from Illinois to Michigan to Wisconsin, with damaging winds, large hail and brief tornadoes possible. Two to 4 inches of rain is possible from northern Iowa to Wisconsin, with any slow-moving storm capable of bringing flash flooding. @PFF_Matt shared this photo on Twitter on June 30, 2018, with the caption, "That other car used to be behind me. Several floating away." A.J. Mumm, director of the Polk County Emergency Management, told ABC News that dozens of water rescues were conducted Saturday night after numerous reports of flashing flooding started coming in about 7:30 p.m. Mumm said rescuers saved several people trapped in vehicles by flood waters and had to evacuate a nursing home.